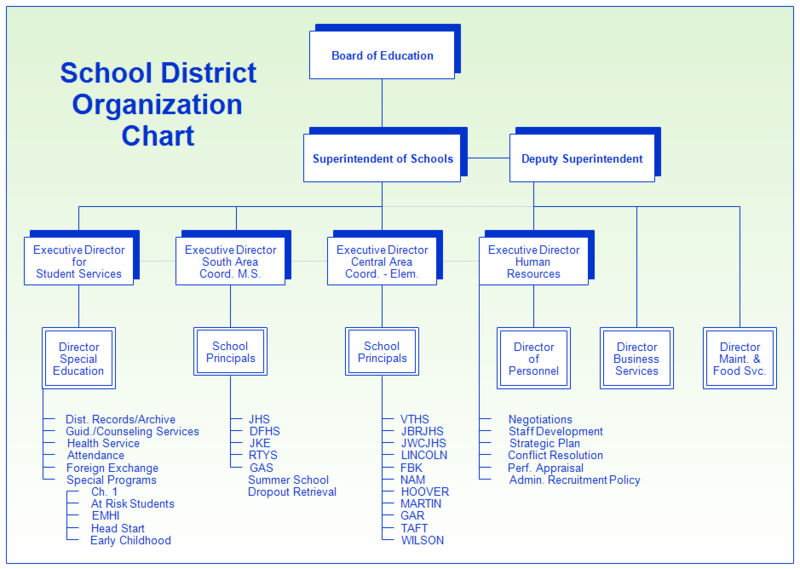 Description This organization chart shows the management structure of a public school district. A gradient background was used. These are found in the Background Shapes stencil and any color can be selected. A lot of space is saved on this chart by drawing the bottom level in the organization with only text and not placing them in boxes. Once RFFlow is installed, you can open the above chart in RFFlow by clicking on school_orgchart.flo. From there you can zoom in, edit, and print this sample chart. It is often easier to modify an existing chart than to draw it from scratch.